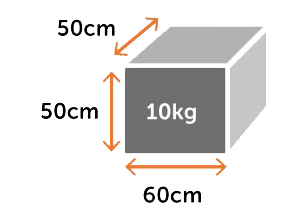 We accept parcels measuring up to 60x50x50cm, and our maximum allowed parcel weight is 10kg. Before buying your label, please also check that we can accept the contents of your parcel. Once you are happy you can send your item through our network it is worth following our handy packaging tips to make sure your items are safely transported. Are you a prolific online marketplace seller? Packaging is a crucial step in the process that sellers ignore at their peril, as the presentation and preservation of your goods is of paramount importance. Take a look at our top tips on how to package like a pro – from padded envelopes to popcorn. Ensuring you have these simple steps covered could make a big difference to the success of your online business. Why has my parcel been sent to a different store? How do I get the collection code to collect my parcel?